Ever wondered what you would look like with bangs? How about that subtle purple eyeshadow or that alluring red lipstick you've always wanted to try but haven't had the chance–or the guts–to do so? That's where a beauty app can help. Starting with a picture without makeup (hair pulled back is best), you can use an app to apply everything from foundation and concealer to lipstick and gloss to eye shadows and eyeliner. And while an app can't quite replicate going to your favorite beauty counter, you can get a good idea of how different products will look—before you go out and spend your hard earned cash in the makeup aisle. 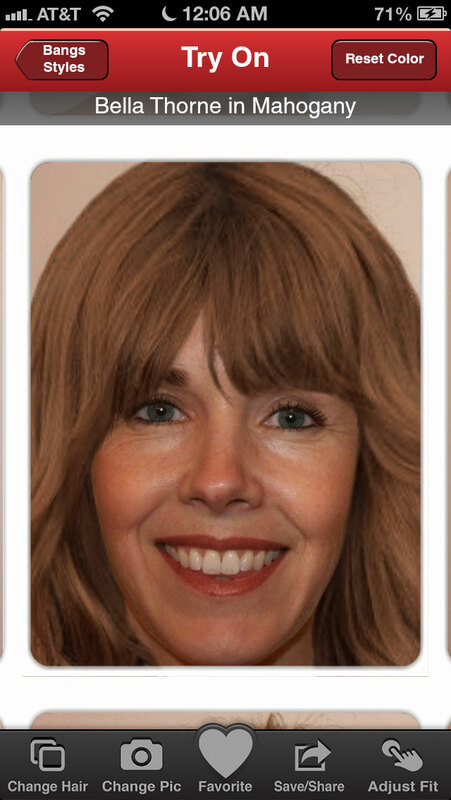 My favorite app is Virtual Makeover by ModiFace (free on iTunes and Google Play Store). I found it to be the easiest to use, it had accurate makeup placement and a good selection of products. So what makes Virtual Makeover by ModiFace stand out? First, it lets you choose a photo you've already taken, not just one you take with the app. This can be a big time saver if you already have a good make-up free photo of yourself. Once you have a good photo, you'll need to create a map that tells the app where your eyebrows, eyes and lips are. A good app, like Virtual Makeover, makes it easy to pull the map into place. And, Virtual Makeover will accommodate photos with your lips open or closed, some apps don't. You can even adjust the map as you go. So if you notice that your lipstick or eyeliner looks a little off, you can make adjustments on the fly. Once you've make all of your little adjustments, you can save your photo as a model so they're saved for next time. The color palette is also key to a good makeup app. With Virtual Makeover, the colors you're trying on are tied to real products. Unfortunately, the free version of Virtual Makeover has a limited selection, but you can unlock the full selection for $2.99 as an in app purchase. I highly recommend it. Other apps have this feature as well, but Virtual Makeover pulls from a wide selection of brands and not just from one store. The app saves a list of makeup products you use for your look, so you can purchase them later. Only the current makeover is stored with product names–one major drawback of an otherwise very good app. Virtual Makeover does a great job with makeup, but if you're looking to try on new hair styles, you'll want to switch over to Taaz Hair Try On ( $2.99 at iTunes). This hair-specific app has the best selection of styles plus the ability to tweak each style so it fits your head properly, something most apps don't allow. The styles are all based on celebrity looks, including styles worn by Adele, Angelina Jolie and Anne Hathaway, to name a few "A" names. You can sort by celebrity, hair length, bangs, waves and curls, updos and face shapes. There are 65 to choose from. Once you have a style you like, you can view it in 25 different shades. There are the usual blondes, reds and browns, but also blues, greens, orange, purple and pink. And, you can save all of your favorite looks into a gallery for you to browse through later. And if you want some help applying those new looks, take a look at the latest in beauty tech products. I bought TAAZ and then realized I could only use it on my iPhone5. That’s too small to really see how the hair styles would look. Is there any way to use the app on my desktop computer? Yes! You can use the taaz.com website to try on hairstyles. The site is also great for trying on makeup.